Wheeling| Mark Twain Elementary School students gave teachers an A-plus on their fundraising efforts to support the School’sPTO. Teachers from Wheeling School District 21 volunteered behind the counter on Thursday, March 21st at the McDonald’s located on Lake Cook Road. The teachers worked hard to serve students and their families in a fundraiser for the Elementary School. Mark Twain staff members worked hardthe entire event and had a great time. Teachers sold pies during this event and enjoyed taking pictures with many of the Mark Twain Students. The proceeds from the sale of 192 pies went directly to benefit the Mark Twain PTO. 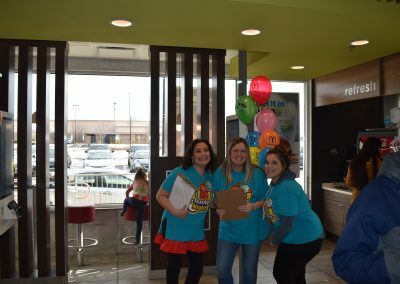 Twenty percent of the proceeds from the McTeacher’s Night sales were donated directly to the PTO, which plans to use the money to help support PTO sponsored events. 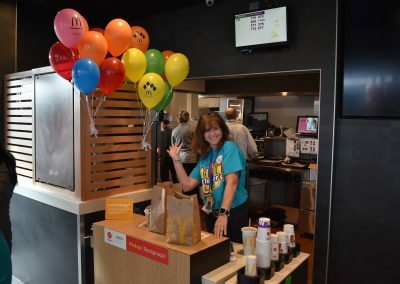 David Bear, Owner-Operator of the Wheeling McDonald’s, was delighted to participate in the worthy cause for education and the community. 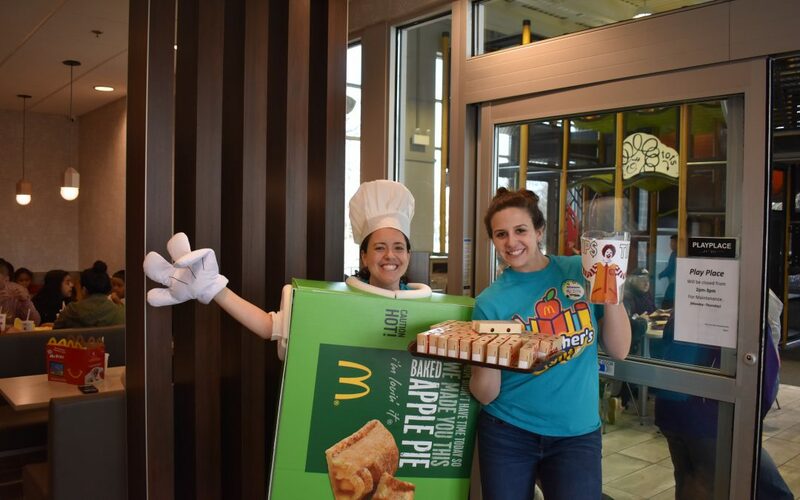 “McTeacher’s Night is part of McDonald’s larger commitment to education and other important initiatives supporting families and the local community,” Mr. Bear said. Bear donated a case of apple pies to the school for sale at the event. 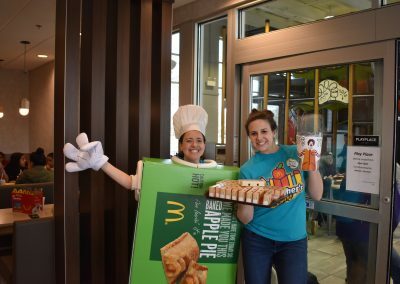 Inspired by the success of McTeacher’s Night, Bearhas his sight set on partnering with other schools in the Wheeling area. “All of the Mark Twain staff and teachers who rolled up their sleeves in support of this event are the fabrics that strengthen our community,” David said. 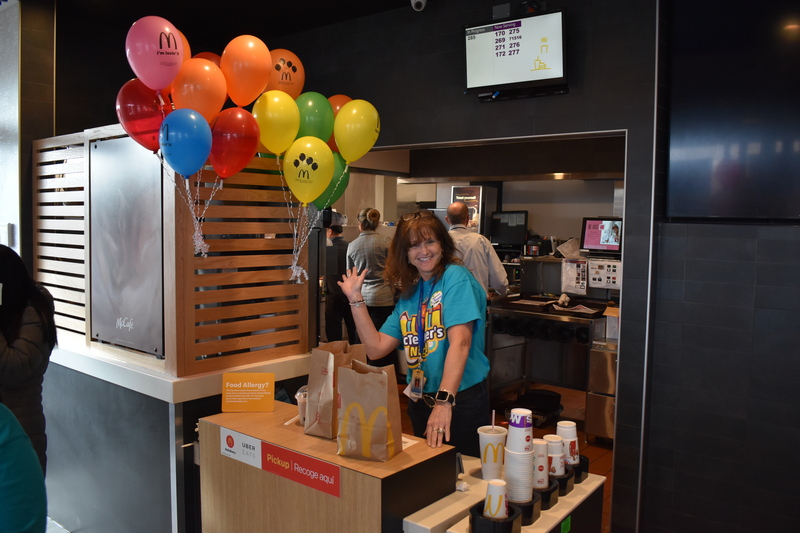 The McTeacher’s Night was courtesy ofthe Bear Family Restaurants and McDonald’s Owner-Operator, David Bear. Like us on Facebook and visit ourBear Website.